Due to its temperate climate and agricultural origins, Central Florida has long had an abundance of local crops and plants that contribute to numerous flavors of honey, including gallberry, saw palmetto, blueberry, Brazilian pepper, and – of course – popular orange blossom from the region’s once-flourishing citrus groves. The decision was made by a group of area chefs and food and beverage specialists who met with Orange County Mayor Teresa Jacobs and Visit Orlando destination experts to consider exploring a signature dish for the region. 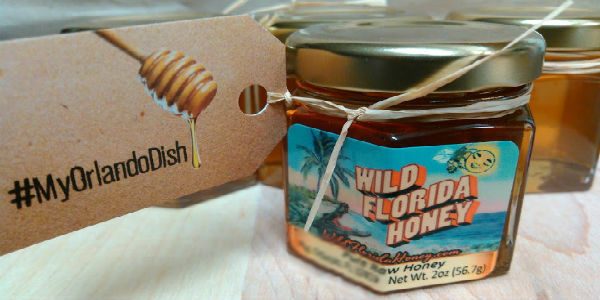 Beginning October 2, a list of participating restaurants and their respective honey dish “candidates” will be revealed on VisitOrlando.com/Dish. The dessert will be featured on each restaurant’s menu, and the public is encouraged to try each one and vote for their favorite throughout the campaign, which ends on November 3. In November, the field will be narrowed down to the Top 10, based on the desserts that received the most votes. The finalists will then re-create their dish for a panel of food expert judges, who will choose the winning dessert. The winner will be announced in December. I, personally, cannot wait to try all the desserts and cast my vote for what I’m sure will be a very hard to choose winner. Watch this video to learn more about the search for Orlando’s Signature Dish, and follow along on social media at @VisitOrlando and hashtag #MyOrlandoDish.